The Patriotism Of NPR And Its Sponsor Al Jazeera America : NPR Public Editor Images on Al Jazeera of brutalized Americans in Iraq understandably still trouble some listeners, but NPR's acceptance of sponsorship support from the new Al Jazeera America fall well within free speech and ethical standards. Al Jazeera itself brings a valuable international voice into our living rooms. Joie Chen, host of the new Al Jazeera America nightly news program America Tonight, sits at the anchor desk in the network's studio space at the Newseum in Washington, D.C.
"I respect the right of the Muslim world to have more of a voice and presence in the world and the United States," Becky Miller of Charleston, S.C., wrote. "Heavens knows, they need better press than what their extremists have offered in the last decade. But the images of the beheadings and the swinging charred bodies of Americans still haunt me." The only aired beheading turned out to be a hoax according to an overview of Al Jazeera's coverage by Pew Research Center's Project for Excellence in Journalism. But the network did air other graphic images as well as statements by Osama bin Laden. You would not accept money/ads from other organizations that have hurt Americans in the past (KKK, white supremacists, or other hate organizations), regardless of claims that they are just news reporters. Al Jazeera forfeited the right to be treated as just a newspaper [sic] when it acted as a mouthpiece for enemies, published their propaganda, and displayed news and video proudly displaying American deaths. I found it too hard to listen to NPR this morning after you played the Al Jazerra ad. It was easier to drive in silence. Last week I heard an interview between an NPR reporter and people representing Al-Jazeera, as well as some media critics. Do you folks really believe that news network is going to give free reign to American journalists and writers? If you believe that then I have some beach property in Tulsa that should interest you. I hope I am wrong. I mean that. Perhaps the proof is about to be found in the pudding. If the US strikes Syria, then let's see how Al-Jazeera covers that in the U.S.
As a veteran, I am sensitive to images of killed soldiers, but we must protect the free speech we fight for in the first place. I sympathize with the sentiments behind these criticisms, but upon mulling over the stories and the ads, I am afraid that I cannot agree. The ethical issue over NPR's stories comes down to trust. The patriotism concern comes down to free speech. The question of naïveté comes down to changing bias standards and a look at Al Jazeera America itself. I have dealt at length in earlier posts with the ethics surrounding stories and sponsors. NPR stories that deal in some way with a sponsor generally need not mention the relationship any more than stories in the commercial news media are not expected to mention an advertiser. Advertising and sponsorship are effectively the same, transparently heard on-air or seen online. There is no secret that needs to be divulged. To be eligible as a tax write-off, public media sponsorships must follow certain rules, such as length and call to action, but this has nothing to do with a need for transparency. NPR's large number of such sponsors, meanwhile, further guarantees that no single one has influence, if ever one tried to exert it, which in real life almost all know not to do. This is because the newsroom jealously guards its independence from behind an iron wall that separates the business and news sides inside the organization, as much as some cynics do not want to believe it. This is not an issue in our newsroom or for NPR's journalists. We do not experience pressure to craft our journalism to suit the interests and desires of our sponsors. NPR receiving sponsorship support from Al Jazeera has not and will not influence our editorial decision-making regarding Al Jazeera or its financial backers. There are exceptions when a sponsorship should be mentioned in a story, such as if the story has to do with a company's advertising strategy. The Al Jazeera campaign might make for just such a story, but that is an editorial decision. As it is, no matter where one draws the line for added transparency, there will be always a fundamental element of trust: either you trust the independence of NPR's editorial process or you don't. I do, barring some good reason not to. Whether NPR should even accept the sponsorship from Al Jazeera is a separate matter of management policy that is outside my purview. But I do have a vital interest in anything that restricts free speech, and this essentially is what the complaining listeners want to do. Being a veteran myself of an earlier war, Vietnam, I am viscerally sensitive to the treatment of American soldiers by the enemy and by the news media. But this has to be balanced against the need to protect the freedoms that we fight to defend in the first place. One of the most fundamental of those freedoms is free speech, even — or especially — when it is speech we don't like. I am not one of those journalists who believe that there are almost no limits to free speech or free press. But the Al Jazeera ads and the objectionable earlier Al Jazeera coverage come nowhere near what I think any reasonable American would consider the limit, once we stop to think about it. Al Jazeera's Arabic service is not anti-American, best I can tell from former students of mine who work there and other Arabic speakers I trust. But whether the coverage is anti-American is irrelevant in our free society. Anyway, those earlier images more than anything represented a lapse in what we consider broadcast standards of decency. I disagree with running such footage, but Al Jazeera was not alone around the world and even in the U.S. in doing so. Many serious people, moreover, support showing gruesome pictures of war as a testament to a reality that we too easily forget. What is most relevant is that the network is not characterized by hate speech, according even to American diplomats and military leaders I know. Unlike some of my colleagues and free speech advocates, I draw a line on propagating or even repeating hate speech, except when reporting on the depths of the hatred or the speech itself. Defining hate speech is a judgment call, but so is so much in life. The sad truth is that much of the world is skeptical of American intentions, but this is missing in our media. The Arabic service, and another English one that is widely viewed in Europe and elsewhere, does frame world politics through a lens that is often skeptical of American intentions. The sad truth of the matter, however, is that much — and probably most — of the rest of the world shares the skepticism. So, too, do many Americans. This is in part a legacy of repeated American military interventions in developing nations, however justified each might be or have seemed. This understanding of how we have come to be seen in the world was a main reason that the parliament of our closest ally, Great Britain, voted against militarily punishing Syria for doing something so obviously terrible as using sarin gas on its people. Across the Muslim world, for example, internal groups that share our values oppose our interventions as counter-productive. The same is true in Latin America and other parts of the world. Yet, little of this international reality comes through in the American news media, which is largely Washington-centric or views the world as a matter of internal American political debates. We should in fact welcome that Al Jazeera might bring a more global view into our living rooms, if only to better know what others are thinking. 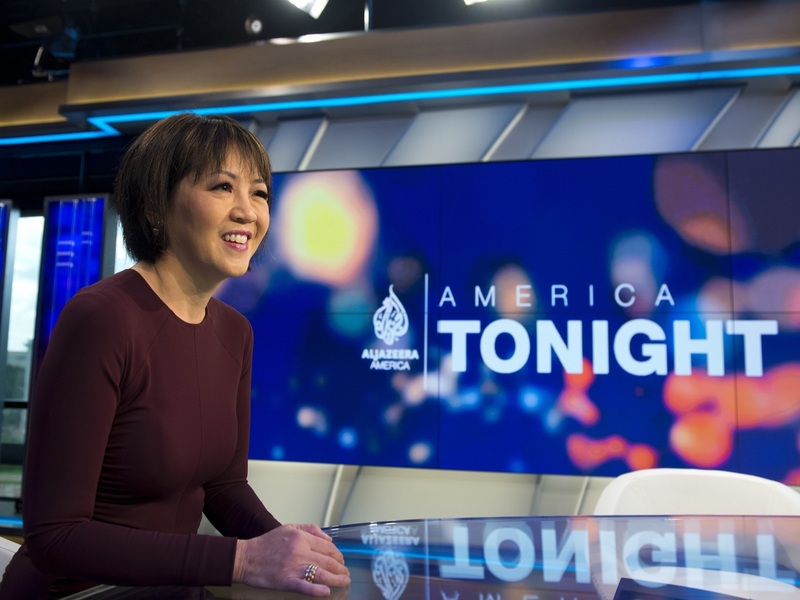 Al Jazeera America, after one month on the air, has so far proven itself to be straightforward in its news presentation, perhaps more even than its CNN, Fox and MSNBC competitors. The network has set out to be more like the BBC or the early CNN, with lots and lots of real news. It draws on a far larger network of news bureaus across the country and around the world than the others. The most common message conveyed in Al Jazeera's coverage-that the U.S. should get involved in the conflict-was also the No. 1 message on CNN, MSNBC and Fox News. BBC News America news programming, some of which originates in London, was more of an outlier in its coverage of Syria. The sources cited most often in coverage by the U.S. cable channels-American politicians and policymakers-were also by far the most frequent in Al Jazeera America's coverage. And as was the case with CNN, Fox News and MSNBC, the overwhelming majority of Al Jazeera America's coverage originated from the two main U.S. news hubs-Washington, D.C., and New York City. 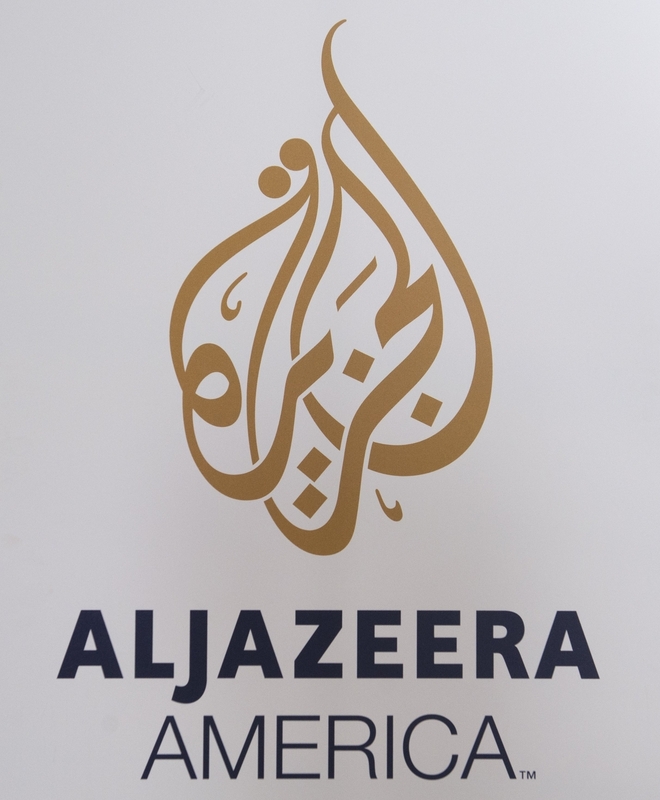 The logo for the cable news network Al Jazeera America appears outside the network's studio space at the Newseum in Washington, D.C. I personally hope this doesn't mean the network, in trying to be accepted, will be too timid. This would deny us the full force of those other voices in the world. But each of us will have our own opinion of the network's framing, just as we will have our own on American policy. Will Al Jazeera America pull its punches in reporting on Qatar or causes dear to its monarchy? Maybe. It hasn't done so yet with the Syrian rebels, whom the emirate supports. Some of the network's highly respected American journalists, such as John Siegenthaler, Joie Chen and Antonio Mora, publicly assert that they will maintain their independence. The president of the network, Kate O'Brian, a former ABC News executive, has said the same. But questions of bias or independence are irrelevant when it comes to whether NPR should accept sponsorship or cable networks should carry the new network. Many news outlets have a bias. What matters is whether Al Jazeera America's falls within the acceptable boundaries of decency and free speech, and clearly it does. As it is, the trend in American journalism is toward news outlets with identifiable points of view. Fox News on the right, MSNBC on the left and Univision on common Latino issues are only the three most prominent television examples. Driving the trend are changing business models and the political fragmentation of the market into ever finer political slices by the internet and cable. Meanwhile, other international players such as the Chinese and the Russians are coming in, too. We should not be afraid of these many new voices. Democracy does quite well in Europe, Japan and other parts of the world where the news media has long been identified with ideological, party or individual points of view. American news networks such as CNN are present on cable channels in the rest of the world, including, specifically, Qatar. What counts for American democracy is that we uphold our free speech values and let the best ideas win in the marketplace of open debate. Updated Sept. 17 11:50 a.m.
A sentence was added to clarify that the beheading aired on Al Jazeera turned out to be a hoax, according to an overview of Al Jazeera's coverage by Pew Research Center's Project for Excellence in Journalism.